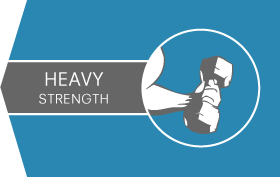 The strongest bags in the heavy duty class (before crossing over to extra heavy) are these 1.7 Mil low density garbage bags. 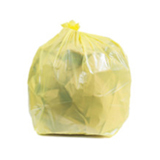 These trash bags are made from Linear Low Density resin, which has been specially formulated to fight against punctures and tears, even when you load them up with heavy loads or sharp garbage. 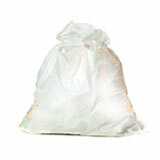 Low density trash bags at this weight make great commercial garbage can liners, but they are also popular around the house. Running a busy kitchen? 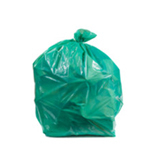 The quickest way to create a kitchen nightmare is a garbage bag that gives up when it counts. 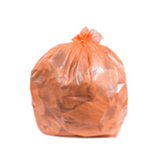 With thick low density garbage bags like this, you can throw away pretty much whatever you like without worrying about them springing a leak? Bones? No problem. Sharp metal can lid? Piece of cake. (Piece of cake? Why are you throwing that away? We’ll eat it!) 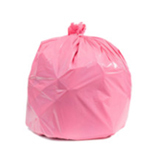 Whether you need a high performance garbage bag at a very competitive price or just want to stock your home with great garbage bags, the 1.7 mil low density garbage can liners are a great choice. 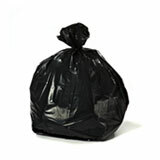 If you’re still not sure whether these are the wholesale garbage bags for you, just get in touch with us. 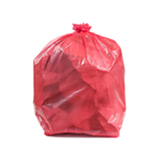 We’ll chat to you about your needs and get to work playing matchmaker to ensure that you get the perfect bulk trash bags for your home or business. 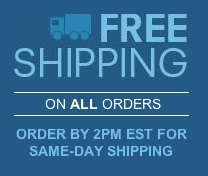 Even better, we’ll ship your wholesale waste basket liners on the same day you order. 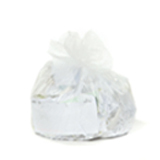 There’s no such thing as a throw-away order at Plastic Place. Our customer service is a point of pride, and our products are backed up by a 100% satisfaction guarantee. 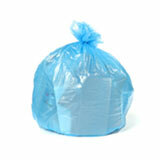 You can order your wholesale trash bags with total confidence, because we’re behind you all the day. Just give us a call or pop into a live chat with one of our experts, and we’ll help you save money on every bag.